Cybereagles • View topic - Thank You My CyberEagle Brothers!!! Thank You My CyberEagle Brothers!!! Post subject: Re: Thank You My CyberEagle Brothers!!! Remember, FIFA says we can't look at women anymore. FIFA = game ruining chumps. Very impressive Mate but to replace this team will be a massive undertaking. Good luck with it as many of these players are on their last legs. I hope these youths that come through are of the same quality but it will be a tough ask. Players like Modric do not come along every day! I'm just explaining the plan. I too doubt we'll see another Modric and Rakitic soon, but I will hope. Get rid of Rebic. He is the weakest link in your team! He doesn't seem to be the smartest guy. But he's big, fast, and actually has decent enough skill. Rumor has it that Bayern will take him. Maybe they can tame this runaway Rhino? We did well overall. A WC final is immense progress for us. We were indeed a fleet footed world class forward short. We'll be working on it. Croatia has solid academies. This WC will inspire another wave. As we always discuss, these things take decades. You need 5 - 10 year plans. I have nothing but love and admiration for your country Croatia and it's people. Incredible leap to football success within the shortest period of time after a brutal war. What a people!! The Croatian club focuses on overall development of a player by pushing them to take different challenges and play in different positions. Dinamo Zagreb plays in among the least competitive leagues in all of Europe and has won 11 titles in a row since 2005, only losing out once in 2015-’16 to Rijeka. Winning the league is a non-tangible as the Uefa participation funding provides for about 30-50% of their revenue depending on how far they progress, while the sale of the academy products takes care of a major part of their operating budget. To stay competitive, there is a careful calculation that needs to be made between the cost of recruiting players from the transfer market or to retain their best talent in a bid to go further in Europe. And in the absence of finances and high-value talents to rely on what they have by building and re-building squads that do just about enough to dominate domestically with a heavy presence of their youth products. Over the years all approaches have worked with very young squads. The immense responsibility to meet the domestic league’s expectations and produce high-quality players is placed on the club’s highly reputed academy the Škola Nogometa. On more than one occasion the Prva Liga, which is the top division in Croatia, was described as a “development league” by the people who I interacted with. This interpretation goes a long way in conveying how the club interprets the league and what the motive of the club is. There are lots of players in the pipeline. I'm not saying they will become a Modric or Raketic. It's 20 years removed between these guys vs Boban, Asanovic, and Prosinecki. But the development process is more scientific and systematic. 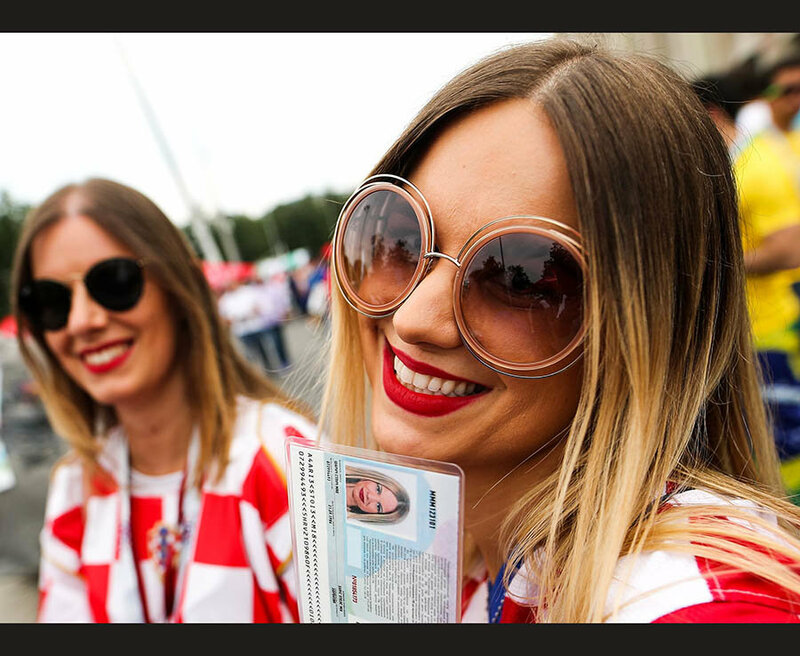 The Croatian FA and government, for all its faults, is putting in money and resources. We actually have way more youth players in football right now than 20 years ago. It remains to be seen if they bear fruit. But if it matters, you will note a number are also at foreign academies in other Western European nations. ​​Chelsea are said to be preparing to table a bid for Dinamo Zagreb defender Filip Benkovic, with the fee rumoured to be around £25m. According to the ​Sunday Express, Chelsea's recruitment team are eager to begin making signings ahead of the new season in spite of the current managerial crisis at the club and have lined up the 20-year-old centre-back as a potential new recruit. We have a ladder approach. There are always age bracket pools being developed. As you go up the ladder, the goal is to get them into better academies and teams. That keeps the pipeline at least full...hoping for a blooming and maturation of talent. You might not a lot of the players in these articles are in top European leagues already. When I last checked, the number of Croatians playing abroad even at a young age is among the highest. All in all, it's a matter of cultural will to invest in and create this ecosystem. This sums up everything and it's the reason why Croatia are miles ahead of all other Balkan states that went their separate ways after the fall of Yugoslavia. If Hungary and Poland do not have this same cultural will, how can they compete and produce another Puskas and Boniek? Same cultural will is what has made Igbo people to produce over 90% of the zoogeria's national team players since after the civil war. Now, imagine Biafra's national team in a world cup. I'm counting on Croatia becoming more consistent. Like France. So that we always have a decent team, waiting for players like Modric and Rakitic to emerge to give us deep run ability. I can't complain. Normally I could. We're doing all we can to give our youth a chance...and, our cultural arms continue to develop deeper ties with the diaspora, luring Croatians abroad to play for Croatia...like Rakitic, Simunic, Seric, and others. Players like Modric and all others you listed above can never come up where there are no plans and above all, cultural will. Get that into your head, it's as simple as that. These people do not depend on prayers, they depend on serious hard word and plans. The croatian talent is amazing, especially for a country of 4 millions people. Hadjuk Split has the first football school in Europe. Even in Cameroon,Vladimir Beara trained Nkono and Bell came from former Yugoslavia. There is certainly a tradition of grooming young talents in your part of the world. The croatian talent is amazing, especially for a country of 4 millions people. Hadjuk Split has the first football school in Europe. Even in Cameroon,Vladimir Beara trained Nkono and Bell came from former Yugoslavia. There is certainly a tradition of grooming young talents in your country Croatia. Father Tiko, a former Yugoslav was the one who revolutionised Nigerian football with this same approach. I do not know what part of Yugoslavia he was from but in 1974, he did something unprecedented. He took over the then Green Eagles and dismantled the 1973 All African Games Gold winning team. He then went to the 1975 National Sports Festival and picked kids to replace them with. That was Nigeria’s first golden generation of players. Now, Otto Gloria and Clemence Westerhoff rebuilt the team with their own golden generations and Gernot Rohr needs to do the same. As per Croatia, you are dependent of clubs like Dynamo Zagreb and Hadjick Split. Let us see what they come up with over the next two years. I said that because like AyoAkinfe, I do not know which part of Yugoslavia, Vladimir Beara came from. down a marker for years to come. time off to frolic there. Unfortunately not. I pressed my luck with going to and extending my time in Russia. As well as generally goofing off during the whole WC. As we all do every 4 years! I have high hopes for Croatia building on this success. As we keep discussing, it's not easy consistently producing good players. Never mind molding it into a team. I don't think we'll sit on our laurels and bask, like we did after 1998. I'm confident we have the basic processes, infrastructure, expertise, and commitment. We will see if this seeding blooms. Time will obviously tell. I'll keep rooting for Nigeria as well. And greater Africa. You can never give up. It's a marathon, not sprint. And we all stay fans for as long as it takes.